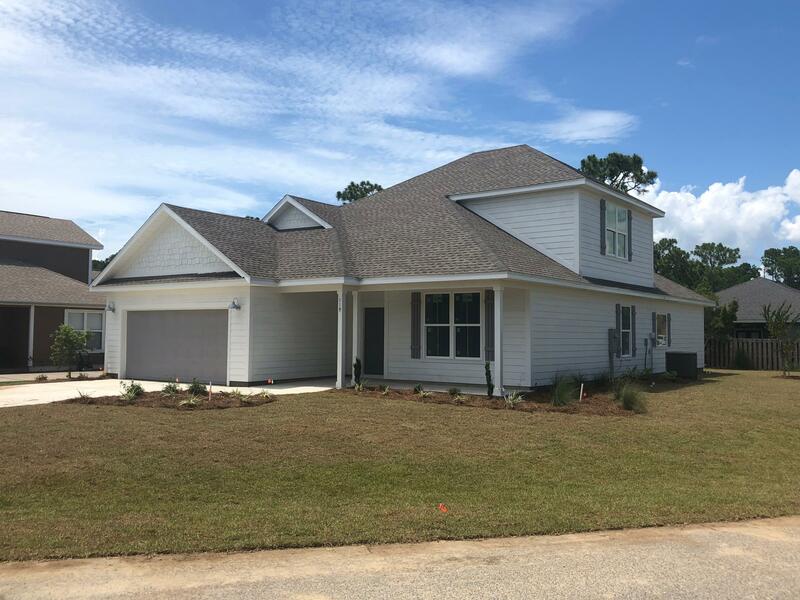 Brand NEW home being built in Pelican Bay.Pelican Bay is a gated community off of Choctawhatchee Bay. The subdivision amenities include a private bay front park with a private dock, picnic area and tennis court. The lot is located across from the community bayfront park. The neighborhood is conveniently located close to Sacred Heart Hospital and Grand Boulevard shopping and entertainment.The beaches of south Walton are just a short drive away. This Is A Great Home With An Open Floor Plan, Kitchen With Granite Counters, Bathrooms with Marble, Large Master Bedroom With Large Walk In Closets, Large Laundry Room With Plenty Of Room For Extra Storage, Gorgeous Entry Foyer, And Two Car Garage. One Bathroom and Bedroom Located Upstairs, Perfect For Privacy. Call Today!